Venus in Cancer can experience the entire spectrum of moods in a few hours while Mars in Gemini flickers through ideas like the wind. This can make for an intriguing, though unstable, relationship that keeps both partners guessing. Venus in Cancer is a passionate, sensitive soul. Kind and loving to a fault, sometimes she needs to withdraw just to protect herself. She relates by caring, being cared for, and is happiest spending the night curled up in bed with her lover. When her feelings are bruised (which happens frequently) she will either pull back or become needy and demanding. She is loyal but her moods can shift from nurturing to resentful and sulky depending on how she feels she is being treated. Mars in Gemini is a quicksilver flirt. Charming and witty, he is curious about everyone and everything. His approach to love is intellectual. What he lacks in sensuality he makes up for with innovation. Here is the fun lover who will try anything new but quickly gets bored. Communication is key—the biggest turn off for Mars in Gemini is silence. Mr. Gemini may initially pursue Ms. Cancer because she’s so different from him. He’ll draw her out of her shell, make her laugh and take her mind off her worries. Her emotional depths will be fascinating new territory for Gemini to explore. But she could be hurt by his quick remarks and he’ll find her sensitivity frustrating. Mars in Gemini runs on logic and will not have the patience to guess what’s wrong when Venus in Cancer shuts down. She’ll want reassurance, he’ll want to play, and as soon as she displays a hint of clinginess, he’ll be gone. How can these two make it work? Venus in Cancer is highly empathetic (almost psychic) when she’s not licking her wounds. 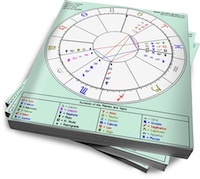 Mars in Gemini has a talent for relating to different viewpoints. If they can get past their respective urges to cling and bolt, they can feel/understand where the other person is coming from. Also, these two have childlike qualities that complement each other. They can be lovers and playmates in a relationship that never gets stale.